The Company operates at all levels of the industry –administrative concessions, ownership, management and leases- and has a diversified portfolio of assets and supply with a common denominator: they all include the highest standards of quality, innovation, and customer service experience that strengthen the Saba brand’s differentiating factor and turn our infrastructure into key elements of mobility. By way of example, its range of car parks covers areas of specialization such as historic centres, commercial districts, hospitals and logistics parks. In addition to airports, tourist and residential areas, not to mention controlled parking zones. 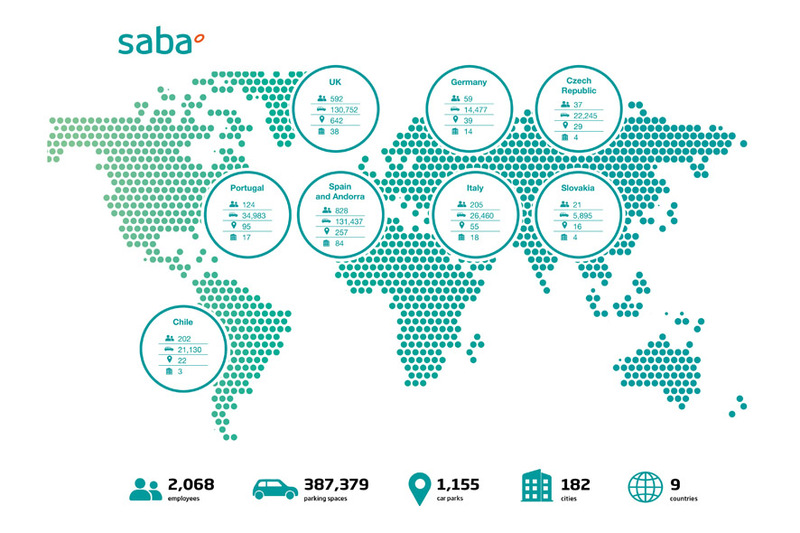 Saba has continued its policy of adopting the most cutting-edge innovation and new business strategies, incorporating in this way smart services related to the mobility of people and vehicles. The company was a pioneer in the implementation of VIA T, in payments using QR technology and it has a website selling 100% digital products. In addition, the company has pushed for the development of new control systems, ATM discount automation and the development of associated services for vehicles and car parks. The objective, therefore, is to understand car parks as service hubs at the service of sustainable urban mobility. All this within a framework of actions focusing on energy efficiency that result in more savings and the optimisation of management. For a top-tier company like Saba, moving towards sustainable and socially responsible competitiveness is a challenge for achieving excellence. The people who make up the company are essential for its development, which is why we work to guarantee equal opportunities and non-discrimination. We collaborate with organizations that support work placements for people at risk of social exclusion and foundations that promote environmental action and support for the most disadvantaged groups such as children.